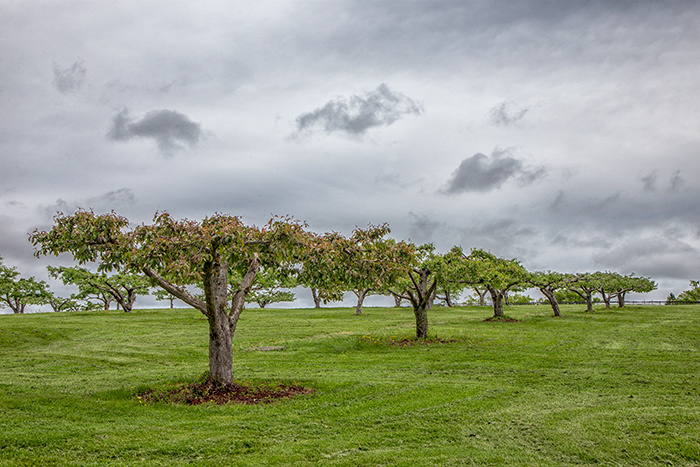 A clearing sky, saturated color and a verdant hilltop called for a color photograph this time at the orchard in Bridgewater, where the previous black-and-white infrared photograph was made. Luckily, this idyllic spot was left unscathed by the destructive storm that ripped through town the day before. This entry was posted in Landscape Photography and tagged Apple Orchard, Clouds, Color Photography, Landscape Photography, Spring. Bookmark the permalink. really cool, I’ve never seen it look so good, incredible shot!!! Well done.